There was an evening of fabulous musical entertainment here at Birkdale School last Friday. The Rotary Club of Abbeydale presented a charity concert in aid of End Polio Now. 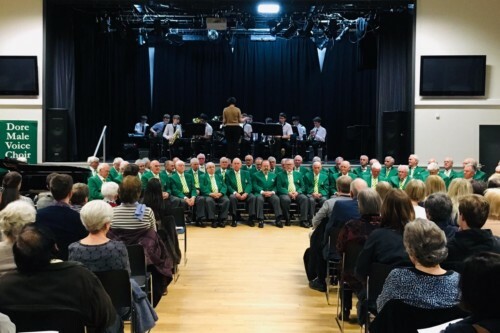 There were outstanding performances by Dore Male Voice Choir, Birkdale Big Band, Birkdale Lower School Choir and King Ecgbert School Jazz Band. Birkdale Big Band perform at a broad number of charitable events throughout the year – providing excellent performance opportunities for the pupils. Rotary worldwide have taken it upon themselves to fundraise and administer health programmes for Polio eradication, therefore it was all for a very worthy cause. We have yet to find out how much was raised on the night, but the Rotary Club are grateful to all those who attended to make it such a great event.